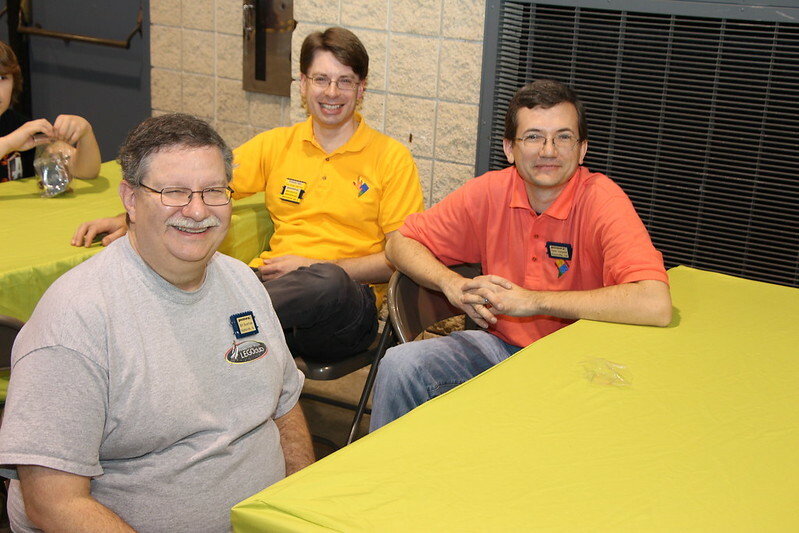 In January, The Tennessee Valley LEGO Club returned to BrickFair AL in Birmingham for another exciting weekend of games, visitors, and lots of LEGO! 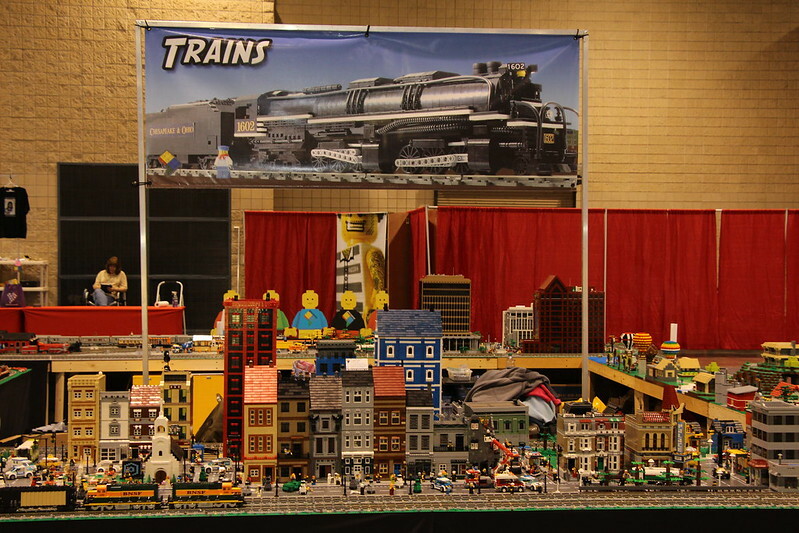 The four day event at the BJCC in downtown Birmingham brought together LEGO enthusiasts from all over North America, and over 6000 guests visited the displays during the public hours on Saturday and Sunday. TNVLC put together its biggest collaborative layout yet, with trains of all kinds running around rail yards, towns, farms, and even a Minecraft inspired area. Caleb Ellett won a Brickee Award for the Minecraft layout, and Jennifer Garlen won another Brickee for her Doctor Who tribute, "Day of the Doctors." Alex Calahan and Franklin Atkins earned additional Brickee nominations for the club for their MOCs, and Pete Campbell won the Boat Race event at the Sheraton Hotel pool. Club members also volunteered their time to help run the event. Chris Bolton spent much of the weekend calling bingo for visitors during public hours. Will Ellett worked the check-in desk, and Jennifer Garlen gave a seminar presentation about LEGO Multimedia. Chris and Jennifer also ran a LEGO trivia contest for convention attendees that included some pretty tough questions for serious LEGO fans. When they weren't interacting with the public or helping with the convention, the club members had a great time participating in a wide variety of games and events, including set drafts, speed builds, blind builds, and races. Thanks to everyone who came to see our display this year. We had a great time, and as always we left BrickFair bursting with new ideas for the future! For more images from BrickFair 2014 - check out our flicker page.